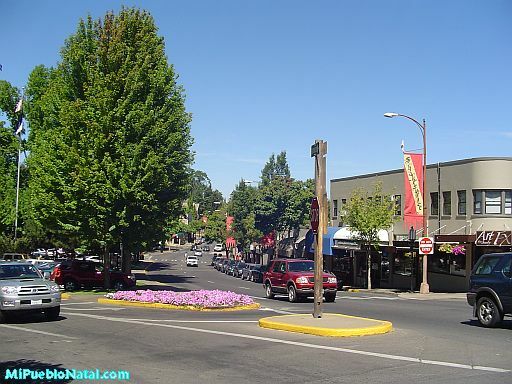 Ashland Oregon – Ashland is located in southern Oregon in Jackson County near the Interstates 5 and about 15 miles from the California Border. It is the Home of the famous Oregon Shakespeare Festival which sells more tickets to more performances to more plays than any other theater in the United States. It sells up to 350,000 tickets attracting more that 100,000 visitors in a typical year. Click here to view a slide show of Ashland. It is the home of Ashland Independent Film Festival which has been playing domestic and foreign shows of every genre since 2001. It is the home of Southern Oregon University which is located in the foothills of the Siskiyou Mountains. Ashland is also the home of the beautiful Lithia Park also called “The Jewel of Ashland”. It is about 100 acres in size and starts from the center of town, goes up to the Ashland creek, and then to the foothills of mount Ashland. The park offers two ponds which house lots of ducks and a few swans, a Japanese garden, an outdoor stage, a swimming pond at the foothills, a playground, picnic areas, and lots of mountain biking and hiking trails that lead to the top of the mountains and beyond. These trails offer an spectacular view of the city below. Ashland is well known for its diverse people and little shops that offer a wide variety of souvenirs. Nearby towns are Talent, Phoenix, and Medford which is located about 15 miles down interstate 5. Ashland has over 100 restaurants which are primarily locally owned and operated featuring the varied talent of local chefs who take special pride in the cuisine that they present and the service they offer. If you ever visit Oregon, you have got to make plans to spend a few days in Ashland so you can discover and experience its beauty and friendly people.